Just when I had thought my birthday celebrations had passed in the blink of an eye, my two closest pals had decided otherwise. Although it’s a month since I turned , ahem, 30, Jenna and Katie had decided to treat me to a surprise day out. Undetermined by my travel plans in Poland, engagement celebrations or work commitments, they patiently waited until the day of my belated birthday treat arrived. 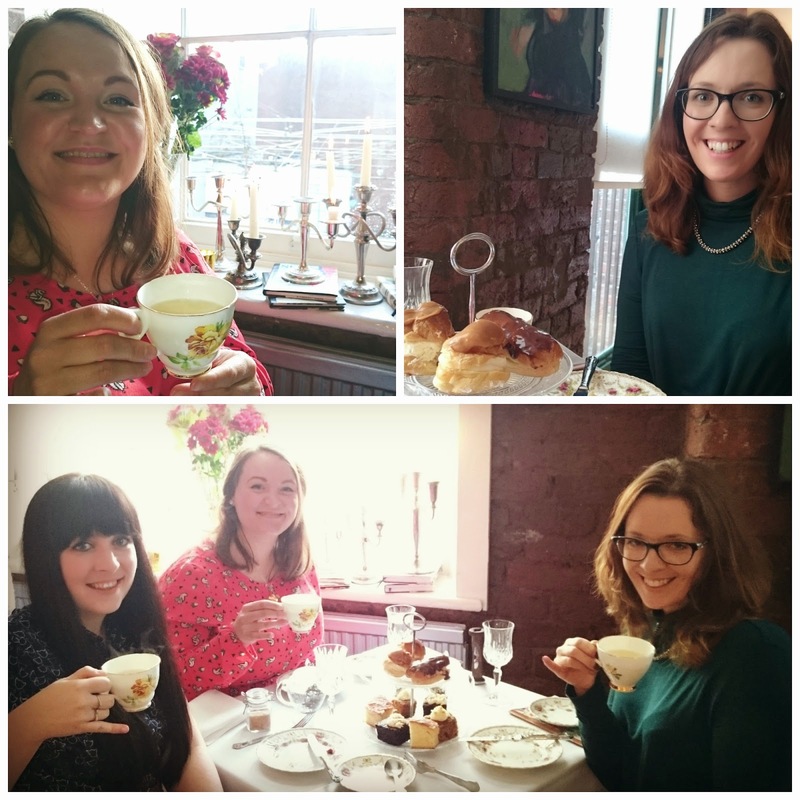 Last Saturday, the girls took me to experience Tea Parlour on Liverpool’s infamous Matthew Street. Escaping the tourists exploring the Beatles’ legacy, a staircase leads you to another world. Situated on the first floor, Tea Parlour invites you to experience a forgotten era. Once a warehouse originally used to store bananas, Tea Parlour has now been lovingly restored into a vintage tea room. Our first impressions certainly did not disappoint. Draped in royal velvet, chintzy mismatched florals and dark, wooden floorboards, from the moment you enter, Tea Parlour envelopes you in 1940’s glamour. 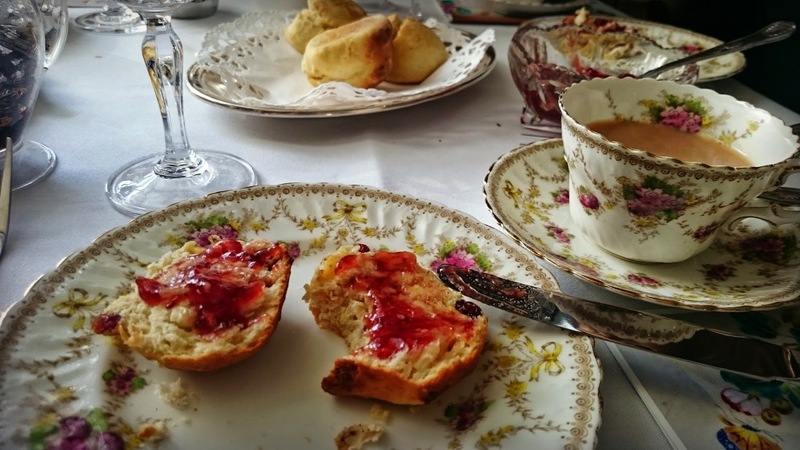 Branded as ‘A very British affair’, Tea Parlour’s menu offers useful tips to help you navigate the tricky issue of etiquette. Did you know that one should place one’s spoon in a 6 o’clock position and fold the tea to the 12 o’clock position? And heaven forbid a careless clink of a tea spoon against one’s china. Tea Parlour boasts rare and limited edition loose teas. Brewed in clear tea pots, you can time the perfect cuppa taking account of helpful tips from your waitress and a useful egg timer. For our first cup of tea, we chose to sample a Breakfast tea. …I could have eaten the entire plate and, if so, I’m sure the staff would have been on hand to offer us more. As soon as we’d finished a cup of tea, our waitress was there and ready to offer us another brew of our choosing. Jasmine. I’ve never drank so much tea in my life. Bliss. Always nearby, once we’d wolfed our sandwiches (politely, of course) our waitress delivered a plate of freshly bake scones, fresh cream and jam. Our menu dictated we should apply the cream first, but as one does not abide cream, I applied lashings of jam to each scone I devoured. They were simply delicious. 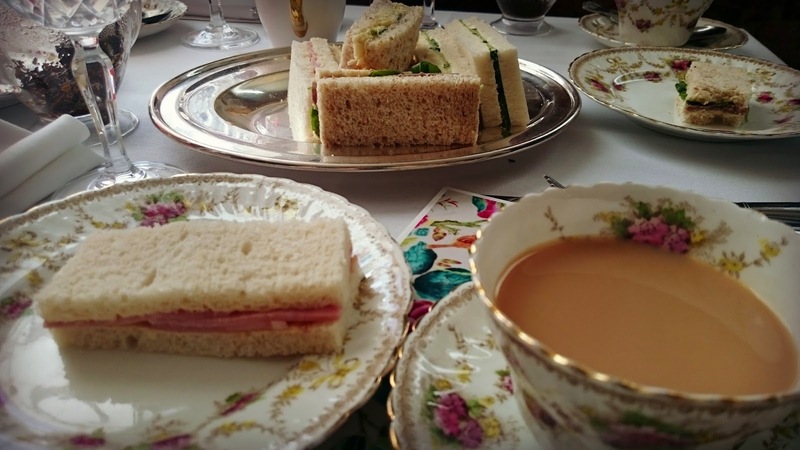 ‘In life, there are few more pleasant time hours dedicated to afternoon tea ceremony’ – Henry James. Whilst this is certainly a motto to live life by, I’ll add to this… there are few more pleasant time hours dedicated to afternoon tea ceremony with friends. Afternoon tea at Tea Parlour was the perfect place to celebrate my birthday, the perfect place to catch up with Katie and Jenna and receive a couple of hours (yes, a couple of hours) to drinking tea and feeling spoiled. The quality of tea, food and service was definitely worth the £20 per head price tag. We left Tea Parlour, with cakes, feeling suitably full of our favourite things. Perfection. So, are you a fan of Afternoon Tea? 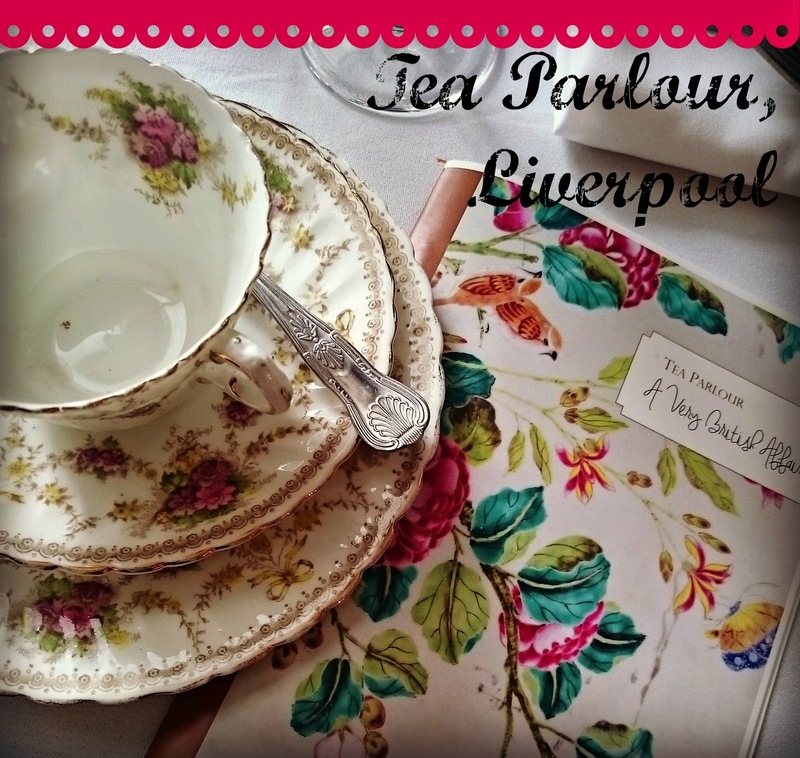 Have you visited Tea Parlour? 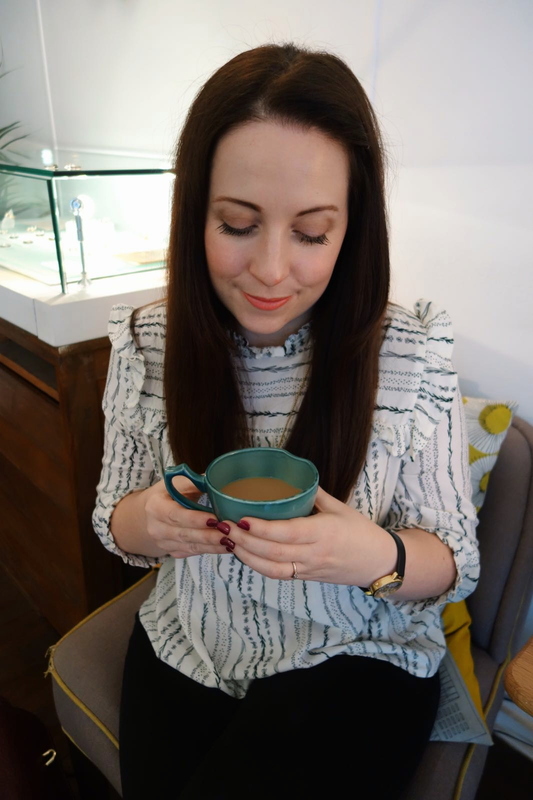 Shopping in Liverpool :: She was a Day Tripper!